160+ effects are at your service! Fix brightness, contrast and white balance problems with a single click! Got a bunch of photos? 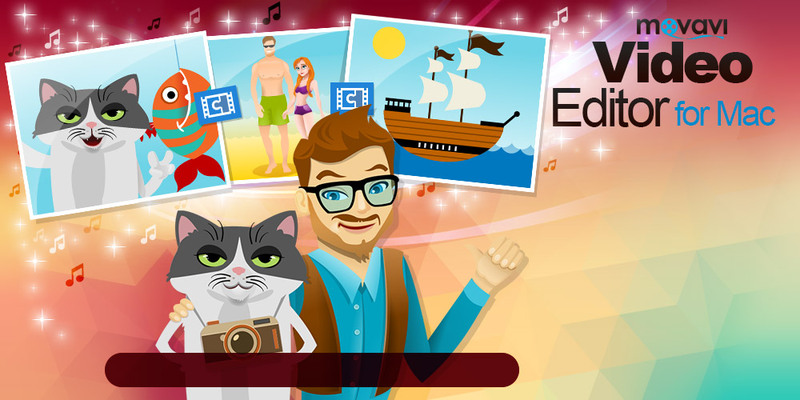 Make a colorful slideshow! How to make a movie in 10 minutes? Find out below! 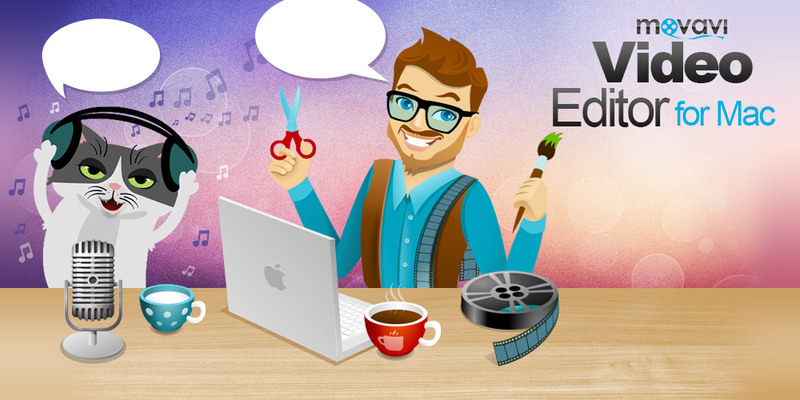 Launch the program on your Mac and click Add Media Files to browse for the multimedia files you want to use in your movie: videos, music and photos. Alternatively, you can import all the contents of a single folder of your choice by clicking the Add Folder button. 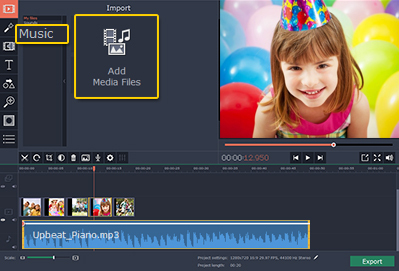 Another easy way to open your media files in Video Editor is to just drag the files onto the timeline in the lower part of the program interface. The timeline lets you add and overlay multiple audio tracks to your project. Click Add Media Files to browse for audio files or click Music to choose one of the built-in themes, if you haven't added audio in Step 1. 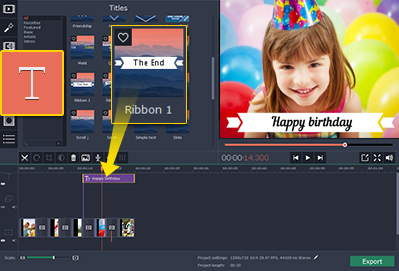 As with video editing, Scissors will help you cut audio clips into parts. Dragging an audio clip towards a video segment on the timeline links them so that they can be moved around together. Open the Transitions tab to view all available transitions. Click on a fade icon to play a video preview of the chosen transition in the player window on the right side. 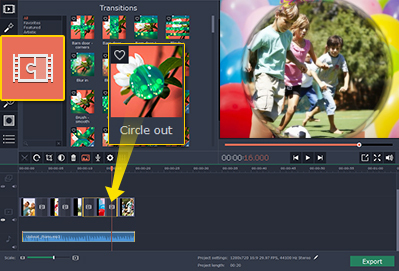 To connect two clips with this transition, simply drag the transition icon onto the timeline between the video clips. You can use any number of different transitions in your project. 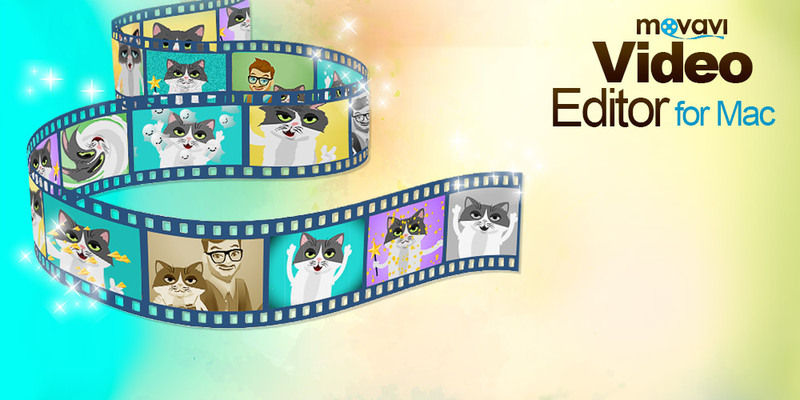 If you want to insert fades between all the video segments or photos you’ve added (for instance, to make a slideshow), click the Slideshow Master icon in the toolbar above the timeline and set up the transition duration and style for all clips at once. If you want to add text to your footage, open the Titles tab and choose from a wide variety of title styles. To overlay a title that you like, drag its icon to the timeline – the title will be automatically positioned on the Titles Track. 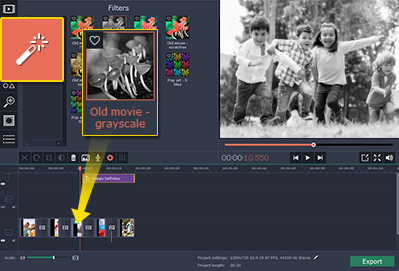 Double-click the title on the timeline to adjust its position over the video clip or photo and calibrate text properties like font type and color. Open the Filters tab to view the collection of filters and effects. The procedure is the same as with transitions. Click on a filter icon to see its preview in the player window. 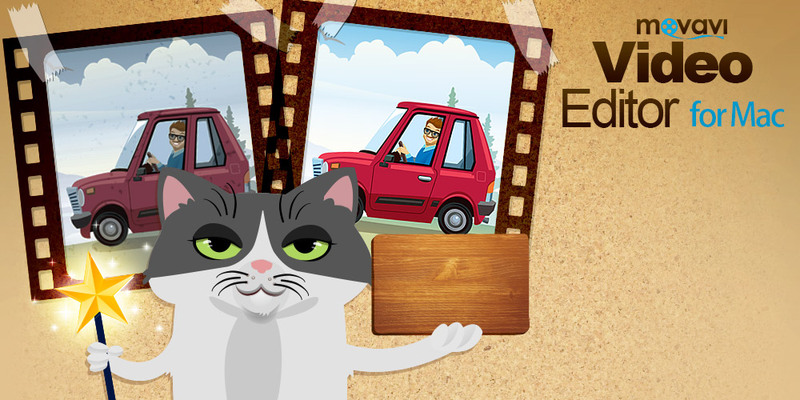 To apply a certain filter, drag its icon to the video fragment or image on the timeline. You can add multiple filters to one clip. To remove a filter, click the green-and-white star icon on the video or image it was applied to, select the name of the filter and click Remove. 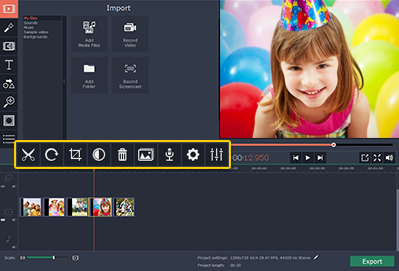 When you’ve finished tweaking your video, it’s time to save it! 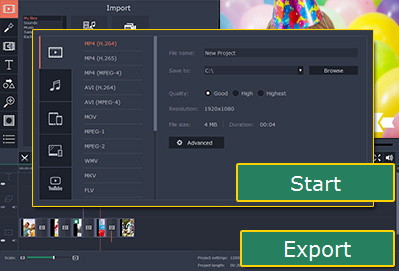 Click the Export button to display the saving options for your video file. Choose whether you want to save your movie as a regular video file, to play on Apple, Android, BlackBerry, or other mobile devices, or optimized for online sharing. 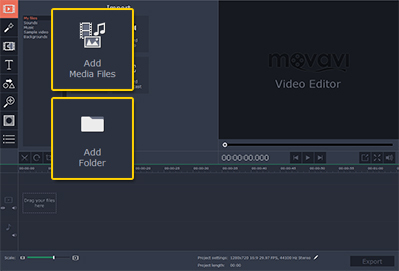 You can use the default Movavi Library folder as the destination for your exported video or browse to select a different one. After you’ve configured the settings, click Start and wait until the saving process is complete – and that’s all there is to it! and get unlimited access to the program!